Todays phrase is getting read. So this is what I thought of: Me getting read to by Lorewalker Cho. I wonder what he says. 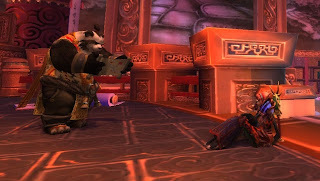 It sounds like mumbeling to me... Come on Lorewalker Cho, read the story of the Pandas for me! Please?